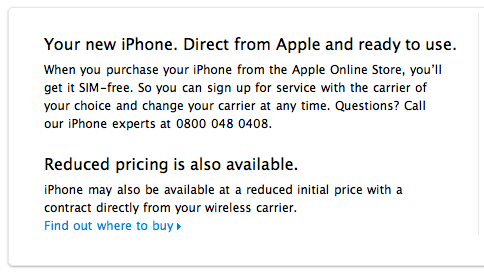 Official: iPhone 4 in the UK is available unlocked. iPhone 4, for sale at £499 and £599 for 16GB and 32GB respectively, is officially available unlocked. You can of course still purchase direct from a network but being able to purchase direct and insert any SIM is a significant step in the right direction.